The Competition Act 1998 makes fundamental changes to United Kingdom competition law,introducing two new prohibitions based on European Community rules. In September 1998, the Centre for the Law of the European Union at University College London hosted a conference, chaired by Judge David Edward of the European Court of Justice, to discuss the Europeanisation of United Kingdom competition law. 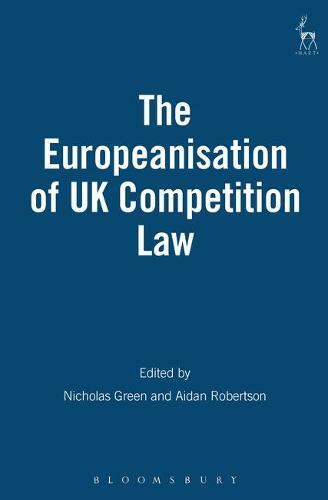 This book brings together the papers delivered at the conference, together with additional papers exploring the effect of the Competition Act. The papers will be of interest to all practitioners, officials and academics working in the are of competition law. Contributors: Judge Christopher Bellamy (Court of First Instance of the European Communities), Mrs Margaret Bloom, (Director of Competition Policy, The Office of Fair Trading), Nicholas Green QC (Brick Court Chambers), Donald A. Hay (Jesus College, Oxford and the Institute of Economics and Statistics, Oxford), Professor Valentine Korah (University College, London), Aidan Robertson (Brick Court Chambers), John Swift QC (Monckton Chambers).